I can touch your heart without even touching you – says the music. Music plays in your instrument but it arises in your heart. 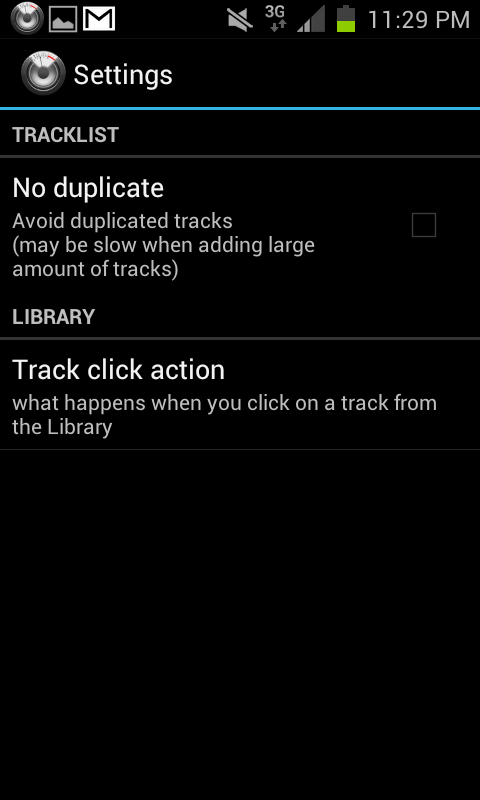 Now you can change songs without touching your android phone. 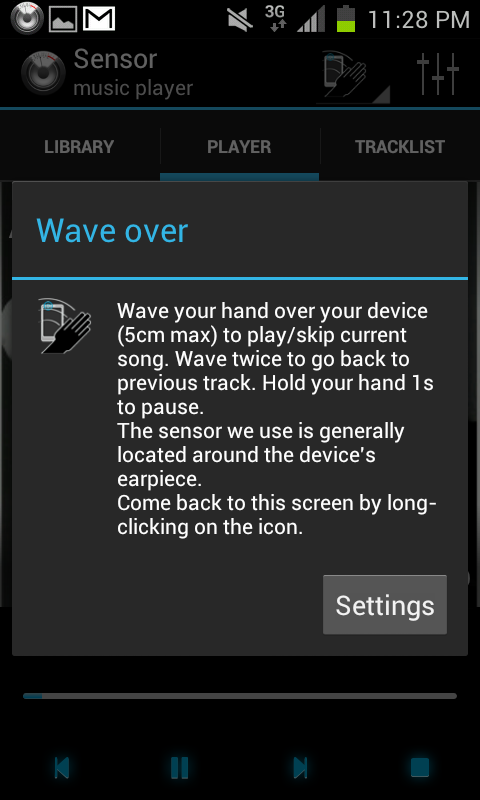 Just hover your magical hand above your phone without touching it to pause the song. Just swipe your hand in air above your android mobile, the song changes. Looks unbelievable or amazing, right? 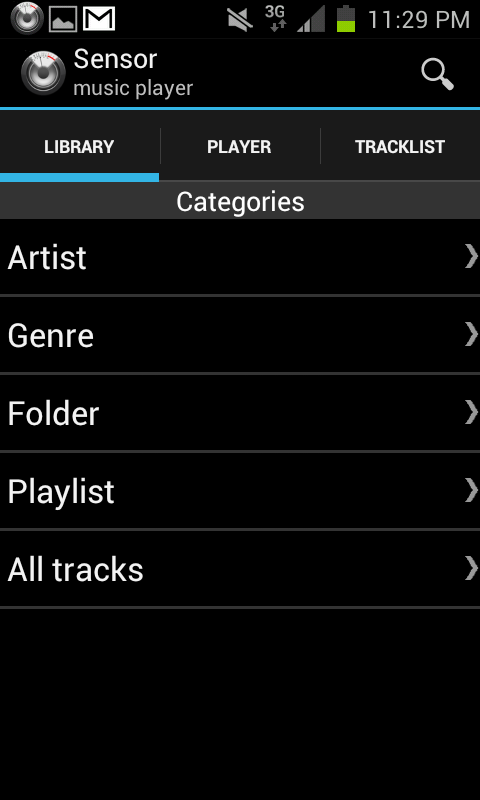 Well, believe me, you can do it – easily – with an android music player application called Sensor Music Player. It utilizes proximity sensor and accelerometer to understand your gestures and respond accordingly. For this to work, your android phone must have proximity sensor or accelerometer, which is usually present on most of the handsets these days. 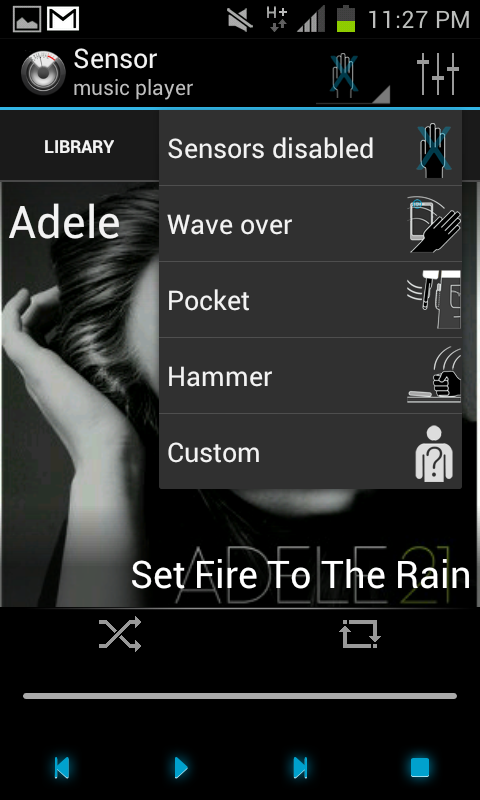 Download sensor music player for free from Google Play store from here and install it on your android phone. 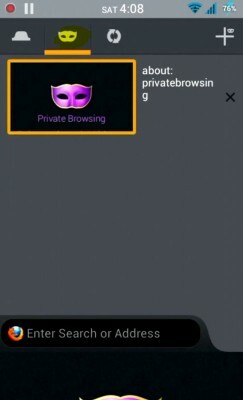 On the top-right side of the application, there is a hand-like icon. Hit it and chose wave over option. Now proximity sensor of your device comes into play. Don’t know what proximity sensor is? Well, it is located near earpiece (from where you listen to calls). During a call, when you take your mobile close to your ear, the display switches off. It happens because there is a proximity sensor near earpiece which detects that the handset has been brought very close to ear and then reacts by switching off the display. So, in this case here, the proximity sensor turns on as soon as you follow step 3 (You may see dim deep colored light from the proximity sensor when it is turned on). Now just Swipe your hand over the handset proximity sensor in right or left direction from a max distance of 5 cm. If you’re moving your hand from a distance greater than 5 cm, the song will not change. Move your hand twice in quick succession to switch to previous song. Just hold your hand over your phone to pause the song, hold again to play the song. The application runs in background so you can just do other things on your mobile phone and use your hand gestures to control music playback as well. 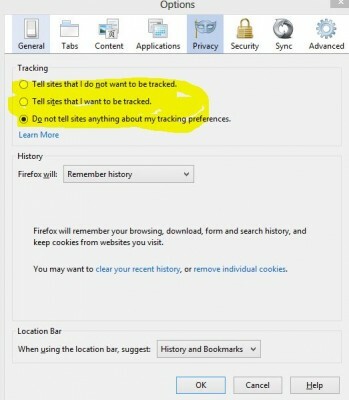 Instead of using wave over option in step 3, you may choose Pocket option. Plug in your earphone then and keep your mobile in pocket. Now Accelerometer comes into play. 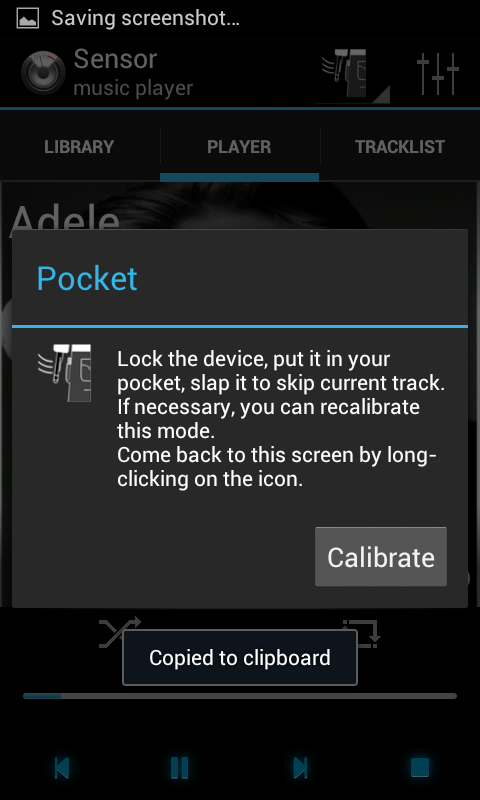 Whenever you want to play the next song, just thump your mobile from above your pocket and the song will change. This way, you don’t have to take your mobile phone out of pocket to change the song which is pretty useful for such headphones, earphones which do not have in-line playback controls. In the step 3, you may choose Hammer option. With this option turned on, you can place your mobile phone on any surface like tablet and just hit the tablet to change the song. 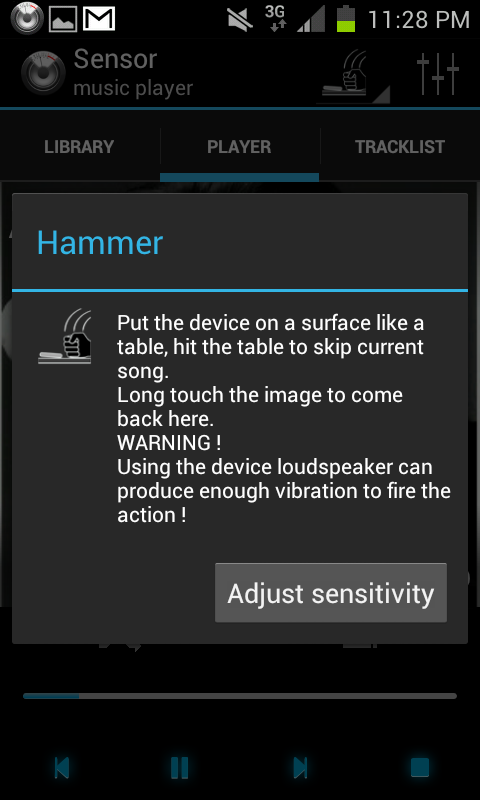 When you hit the tablet, it detects the vibration and then responds by playing the next song in its playlist. This mode is very sensitive. 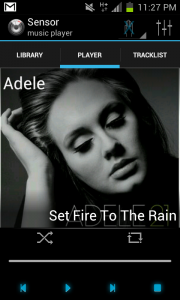 Even if you just move your handset a bit or tilt your phone in your hand, it’ll change the song. If you forget the description of each mode, just hit on option/menu button on android phone and choose current mode description. It’ll display you the hint along with option to adjust or calibrate settings of the active mode. The sound quality of this Sensor music player Android app is also good. 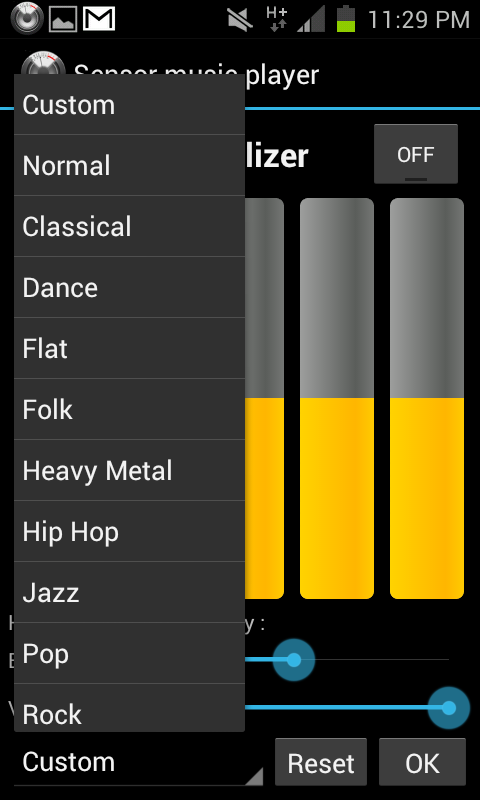 It has equalizer settings also and control for boosting bass (which can be accessed by touching the icon next to hand icon in the upper right corner of the app) to make the sound thumping. The sound tweaking option also contains visualizer slider so that you can adjust surround sound like effect which will be noticeable especially when listening to music in high-quality headphones or earphones. If it doesn’t work well for you, you can adjust the sensitivity and calibrate all those options individually as per your comfort and your handset specific response. There is not much settings in prefernces menu to fiddle with. Your screen protector might be interfering in wave over gesture so you might want to check that in case of problems. Further, The application developer is keen to improve the experience so you can even give feedback. This is indeed a good and distinct android music player worth being reviewed by Techotv. Like the stock android music player, when it runs in background, you can control music playback by bringing up notification view. It comes with a widget also which you can add to your phone home screen by browsing through widgets list on android mob. The widget has a basic play, pause, next, previous controls. We’re not rating this android app full 5 stars because we expect it to become a full fledged and sophisticated music player as well beside its sensor based accessibility features. 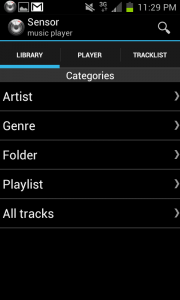 The download link of Sensor Music player for android devices is given in step 1 above.